We’re now back from London and basking in the audience responses to our run at the Kings Head Theatre. It’s January, so the audiences were understandably small, but perfectly formed. 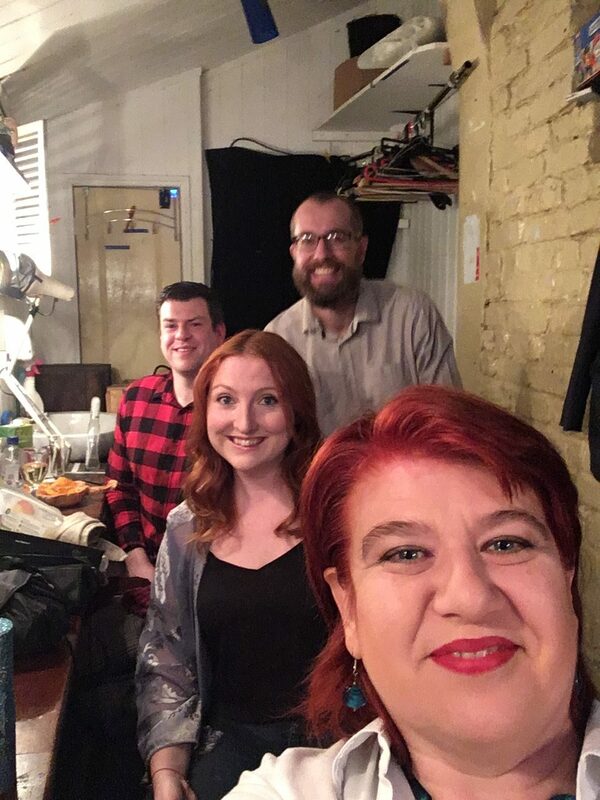 Backstage selfie – 5 minutes to go! We shared our set with “Outlying Islands” so we were faced with the challenge of performing on mud. So, the set became ‘the garden’ in a new house where they were getting quotes for how best to landscape it! In a couple of hours we had adapted the beginning of the script to take into account the setting – which means, as is true of live theatre, you can go and see a show many times and each time see a slightly different play. It kept things fresh for both the audience and actors which is always a good thing. 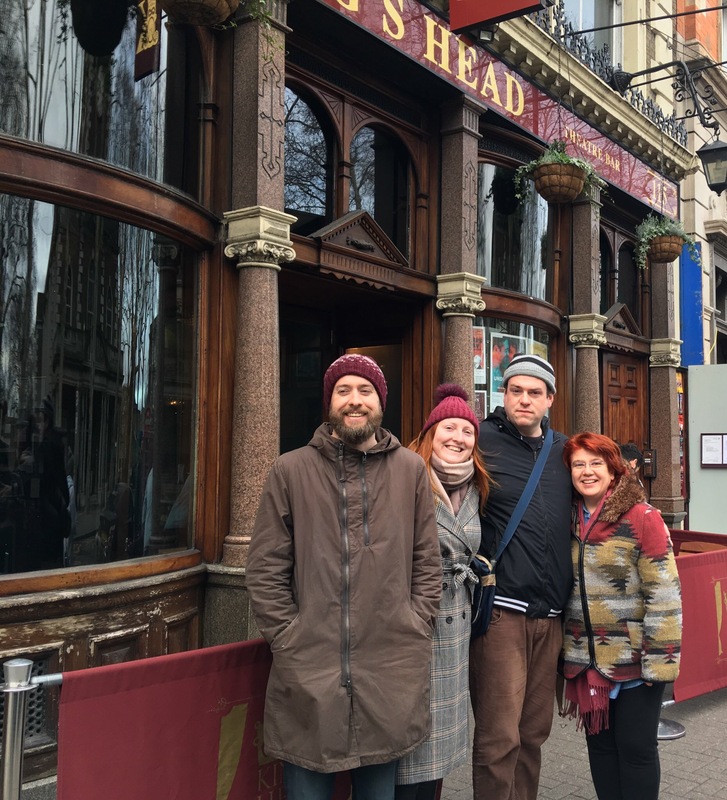 So we say farewell to London – for now, and after a brief rest, we will be planning the creative future. Thank you everyone involved in this production, thank you all at the Kings Head Theatre, and thank you to the fabulous audiences that made performing this so much fun. We are still appealing for funds for this run, if you are feeling generous please donate to our Crowdfunding page – and hopefully we will have future funds to go further afield and / or tour.